Holistic health and achieving wellness require balancing the various aspects of the “whole person” - that is you and everything that has any sort of impact, small or big, on your life! This broader, holistic approach to health involves the balance and integration of all wellness dimensions for an individual and is an ongoing process aimed to reach well-being. When one dimension is disrupted, the others are impacted as well. Balance is the key to leading a healthy lifestyle. The concept of a “whole person” is our view of a holistic approach for optimum health and wellness. Toxin-free living is an integral part of a healthy lifestyle and we are here to help with our Natural Remedies, Natural Products Business Directory, Natural Products Guide and Product Reviews! 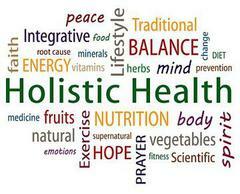 The holistic concept is an approach to life. Rather than focusing on illness or specific parts of the body, this ancient approach to health considers the whole person and how he or she interacts with his or her environment. It emphasizes the connection of mind, body, and spirit. Holistic medicine includes a number of factors, such as 1) addressing with the root cause of an illness; 2) increasing patient involvement; and 3) integrating conventional (allopathic) and complementary (alternative) treatment options. The holistic approach upholds that all aspects of people's needs including psychological, physical and social should be taken into account and seen as a whole. Wellness is an expanded idea of health and generally means a healthy balance of the mind, body and spirit, resulting in an overall feeling of “well-being”. It is a multidimensional and holistic encompassing lifestyle. Wellness is a conscious, self-directed and evolving process of achieving full potential. It takes more than physical exercise or nutrition to maintain good health. True wellness is determined by how life is lived and experienced. 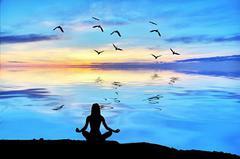 It is an active process of becoming aware of and making choices toward a healthy and fulfilling life. This is a life-long process of moving towards enhancing all Dimensions of Wellness. Balance and integrate your physical, emotional, spiritual, environmental, financial, social, intellectual and occupational aspects. Make lifestyle choices that promote wellness, including living toxin-free and using Natural Product Alternatives. Participate actively in your health decisions and healing processes. Maintain healthy and respectful relationships with others, the environment and the world.